Verywestham: What are you four clowns in defence doing? In shocking scenes today at Leicester City, Europa wannabes West Ham United managed to sabotage yheir European hopes as each of their four defensive starters managed to pick up a caution. The game concluded with Hammers faithful in shock and disbelief at their 'heroes' astounding lack of discipline. Less importantly, they also lost the game 2-1 to a late strike from some Leicester player. 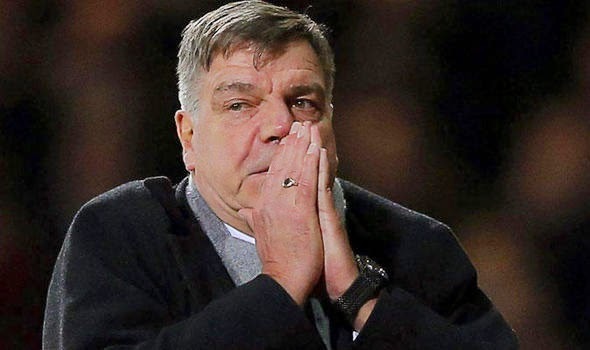 Already the conspiracy theoristsa are interpreting the events of today as evidence that Sam's overworked defence do not want their season to commence in the first week of July with the preliminary round of the Europa League. Elsewhere, Liveroool who are the key challengers for the top spot in the fair play league lost 4-1 but managed to avoid picking up any cautions and will npw likely topple the foolish Hammers, and with it their European hopes. Emre Chan was sent off for Liverpool, we will be 2nd behind Burnley who are playing tomorrow. We still have to see what effect the FA's fining of Carlton Cole for his abusive 'f*** off you c***' tweet has - that hasn't rippled through the FPL scores yet. It would be ironic if a player who's not worthy of a place in the team cost us a place in Europe - where he wouldn't play anyway - for a moment of off-field rank stupidity.